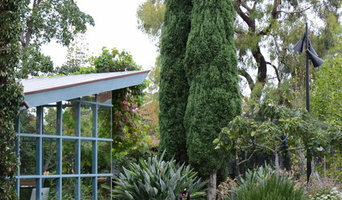 Eckersley Garden Architecture offers a revitalised approach to landscape design. Merging experience and creativity, our passion lies in crafting unique relaxed gardens that invite the inhabitants to enjoy their outdoor space. With an understanding of how space and facility work together to create lifestyle and amenity, Eckersley Garden Architecture is driven by all threads of the design process. We work collaboratively with the client to turn the brief into an individually tailored garden that takes the art of garden making to a new level. Established by iconic designer Rick Eckersley, with partners Scott Leung and Myles Broad, the practice offers a wealth of knowledge in aesthetics and practical form. We receive commissions Australia wide and internationally. Our client base is as varied as our garden designs, ranging from small residential, through commercial multi residential, to country retreats. 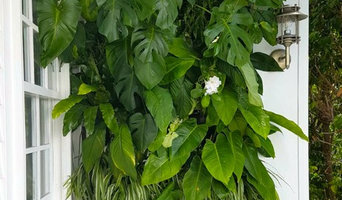 Atmosphy offer Greenscaping solutions: bringing plant life & green design to all spaces & situations. Our plant stylists will work closely with you to provide a complimentary design & consultation. Seed & Grow Landscapes Pty. Ltd. Seed & Grow Landscapes Pty.Ltd. is a landscape design company in Melbourne offering clients the complete design and construction package under the one roof. We offer flexible landscape design packages to suit every need and budget, because we believe every home deserves a beautiful, considered outdoor space that suits the clients needs and desires. We create functional, high quality and diverse styles of gardens to fit with the architecture of residences and the personalities of our clients. Best of Houzz Winner 2017-2019. 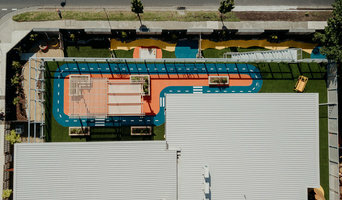 The Landscape Department designs and constructs uniquely Melbourne-style outdoor spaces, for Melburnians, by Melburnians. This is not your run-of-the-mill operation. We think beyond the stock standard. We think about curves, textures, shadows, gradients and feeling. We custom design outside spaces that are perfectly suited to the unique architectural styles of Melbourne homes and to the unique needs of our clients. Rupert Baynes is a landscape design firm with a commitment to intelligent and sustainable design, supported by horticultural expertise. We appreciate the importance of making spaces inviting and liveable. We employ a strong focus on considered planting in the gardens we create. With an emphasis on robust materials complemented with soft textural foliage, our gardens are contemporary, thoughtful and evocative. Ben Scott is an award-winning landscape architect and horticulturist, renowned for his bespoke garden designs that bring harmony and cohesion to outdoor spaces. A true plantsman, he effortlessly marries together a rich horticultural background with impeccably honed design skills resulting in elegant and sophisticated gardens that are created to be lived in and enjoyed. His diverse portfolio highlights his experience designing traditional style gardens and country estates as well as contemporary urban balconies and courtyards. An agile and responsive practice, PATH provides clients with extensive one-on-one contact with high-level design professionals. The individual care and attention we provide is supplemented on an as need basis by our broad-based, well-established network of collaborators and consultants. This allows us to quickly ramp up capacity when required, while staying efficient and mobile. With an impeccable eye for detail, a strong horticultural focus beginning at Burnley School of Horticulture, Andy has designed hundreds of gardens for private clients and developers. He has worked along side some of Australia’s leading architects and innovators. Andy has a passion for great design, garden design specifically. How it can, not only significantly improve the value of your property, but enrich the lives of the people interacting with it every day. He creates high quality, interesting work in collaboration with his clients. Designing gardens that look and feel great on completion and only get better with time… plus he has fun doing it! Garden design, installation and maintenance. Love of landscapes is dedicated to providing people with friendly, honest and quality gardening services. From garden design to installation & maintenance. We provide a range of gardening services: Horticultural consultations, speciality & general pruning, standard soil testing, custom natural water features & small ponds, inverted aquariums, custom natural art installations, custom fencing and pathways (small), native specific gardens, food forestry/permaculture, small to medium tree removal, small to medium tree surgery, custom habitat trees so anything else you can think of. We are a small team of two, a qualified horticulturalist and a second year student arborist. We are safe, friendly, polite and professional. We love what we do and love creating a little piece of paradise for everyone. Matthew Henry Gardens offers high quality garden design and maintenance. Our gardens provide a multisensory experience, connecting people with nature via liveable and functional spaces, designed for our clients’ lives and the way they want to interact with outdoor space. Our garden maintenance service offers you the expertise and energy to keep your gardens looking good and functioning well throughout the year. We make sure that your garden lives up to its potential, regardless of who designed or built it for you. We are happy to visit your garden and draw up a maintenance schedule with you. Richard Bellemo is an innovative and contemporary award-winning designer of strikingly beautiful gardens and landscapes. Richard predominantly draws his inspiration from the natural world to deliver gardens that compliment the setting and offer practical outdoor spaces for clients to enjoy. 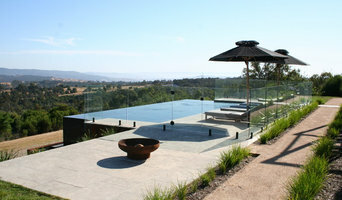 Richard's extensive travel abroad and throughout Australia has laid a solid foundation for his design creativity and underpins his reputation for imitating nature across a broad range of formal and informal landscapes. "Imitating nature is not limited to informal settings; nature can be imitated in the formal garden". Richard believes the only limit to design is ones imagination. "The landscape should work harmoniously with architecture; the indoor/outdoor space should be at one". Beginning in 2002, RB Landscapes has grown into a flourishing business that has already achieved significant local and international recognition . The RB team pride themselves on attention to detail and continually investigate new materials and techniques to keep each project fresh and unique. RB Landscapes offers clients a complete garden design and construction service. From the initial consultation, through to project management and delivery, Richard Bellemo and his team work closely with architects, builders and other quality contractors to create the best garden landscape solution for each client. RB Landscapes prides itself on listening closely to the clients brief and producing a design which promotes the interaction of people within sustainable garden landscapes. Richard compliments his creative design talents with tertiary qualifications in Horticulture and Natural Resource Management. 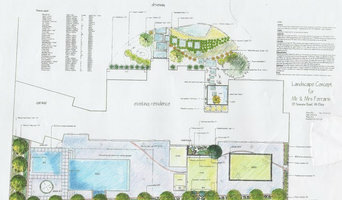 The RB Landscapes design team includes Landscape Architects, Architects and Horticulturalists. Welcome to our home at Domain Pools and Landscapes - DPL I hope that after you've spent some time here you will not only see some wonderfully crafted work, but feel the passion and belief that is a part of everything we have done for the past 30 years. DPL grew from one of Melbourne's leading and most awarded landscape builders to a company that provides clients with a full range of swimming pool, landscape, water storage, pool/landscape design and construction services. We are at the forefront of the industry and are the preferred contractor for prestige builder Stonehaven Homes. As our client this means that you do not have to deal with multiple contractors but can trust us to oversee the entire project. This not only saves you time and hassle but ensures peace of mind and results that consistently exceed expectations. We will work very closely with you. We will listen to your preferences, explore innovative design options and coordinate construction. We like to gain an impression of how you live and how you would like to live so that each project is beautiful, functional and liveable. Designing Gardens that are timeless, evocative and sustainable --------------------------------------------------------------------------------------------- I am a graduate of design and horticulture (University of Melbourne, Burnley; Hadlow College, Kent, UK), and have been designing gardens since 1999 in both the UK and Australia. Designing gardens for others is inspiring and rewarding work. I get great satisfaction from transforming an outdoor space into a unique and beautiful place that connects people with nature. Rather than imposing a particular style, my designs evolve in response to the preferences of the client, the style of architecture, and the site conditions. The result is more than a beautiful garden. It is a garden that has meaning to the owner, harmonises with the home and can be sustained as the garden matures. The principles of sustainable and organic gardening are important to me and I seek to apply these concepts to simple, clean designs. I believe that our gardens offer us the opportunity to make a real difference to the health of our local environment and encourage everyone to nurture their outdoor spaces.